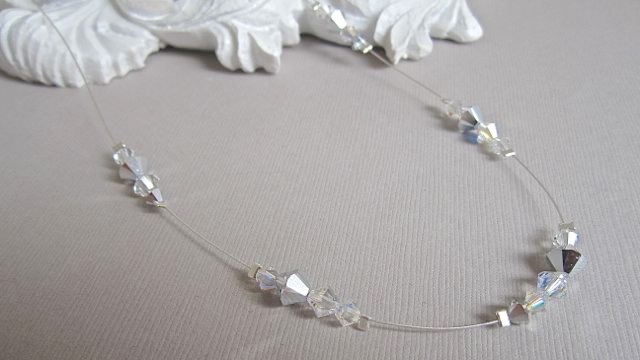 The Sparkle necklace is perfect for the bride who wants to dazzle on her wedding day. This piece features 'the' most sparkly Swarovski crystals, grouped together at regular intervals. 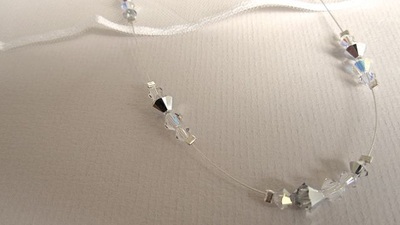 They really do catch the light beautifully and will keep you dazzling during the day and sparkling throughout the evening too! I have teamed this piece with a diamante clasp, but you can change it to suit. 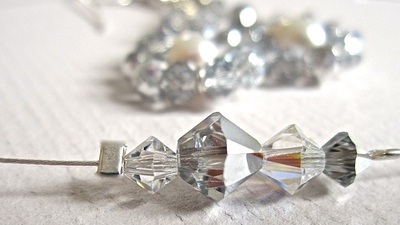 If your dress has a sparkly belt or detail this will be the perfect match. MADE TO ORDER – The Sparkle Necklace is custom made to order. DIMENSIONS – You choose the length to suit you. The Sparkle bracelet is perfect for the bride who wants to dazzle on her wedding day. 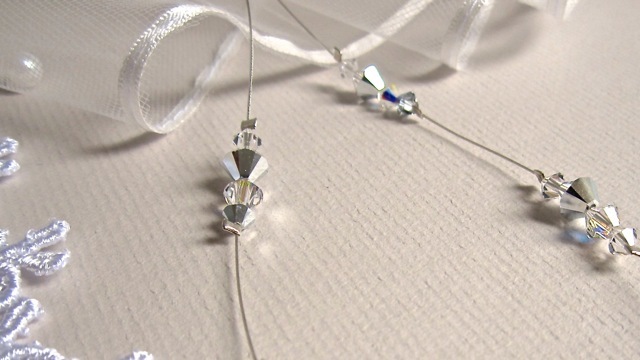 This piece features 'the' most sparkly Swarovski crystals, grouped together at regular intervals. They really do catch the light beautifully and will keep you dazzling during the day and sparkling throughout the evening. 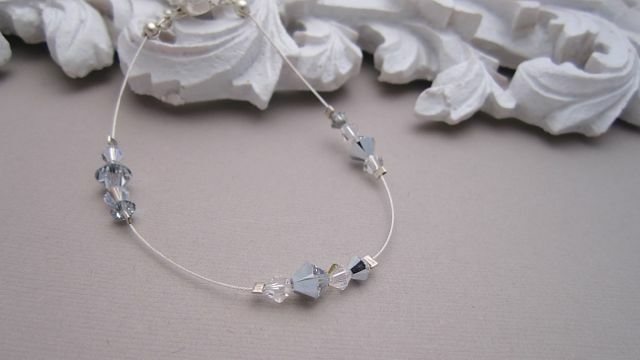 The Sparkle Bracelet is custom made to order. If you love this piece but would like some custom changes, Feel free to send me an email. 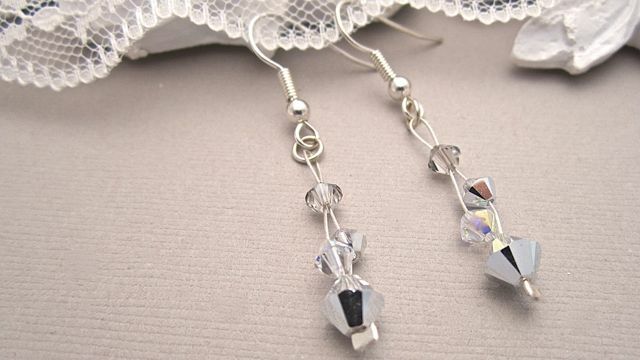 These earrings are perfect for the bride who wants to dazzle on her wedding day. They feature 'the' most sparkly Swarovski crystals, weaved together and are very light and comfortable to wear. They really do catch the light beautifully and will keep you dazzling during the day and sparkling throughout the evening. If your dress has a sparkly belt or detail this will be the perfect match. 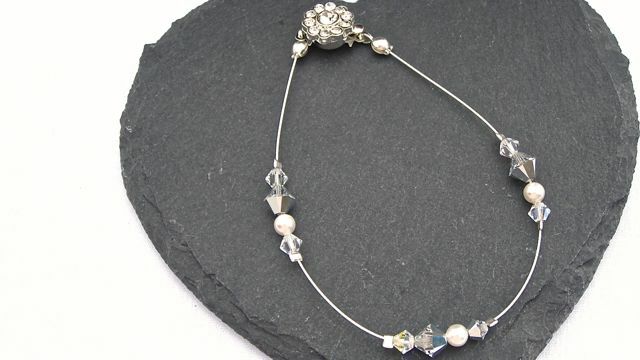 MADE TO ORDER – Also available in other colours and in pearls or a mixture of crystals and pearls. These are also available 'straight' rather than 'weaved'. 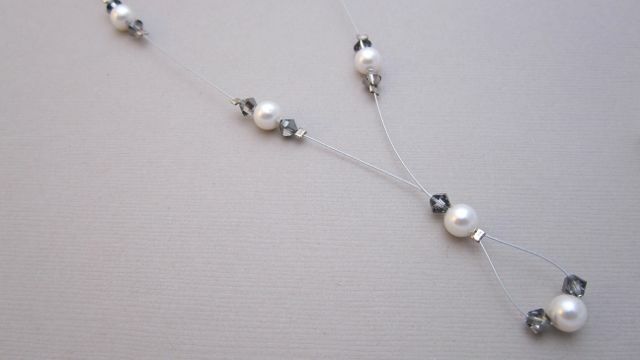 If you love these but would like some custom changes, a bespoke piece might be just the thing for you. Feel free to send me an email.